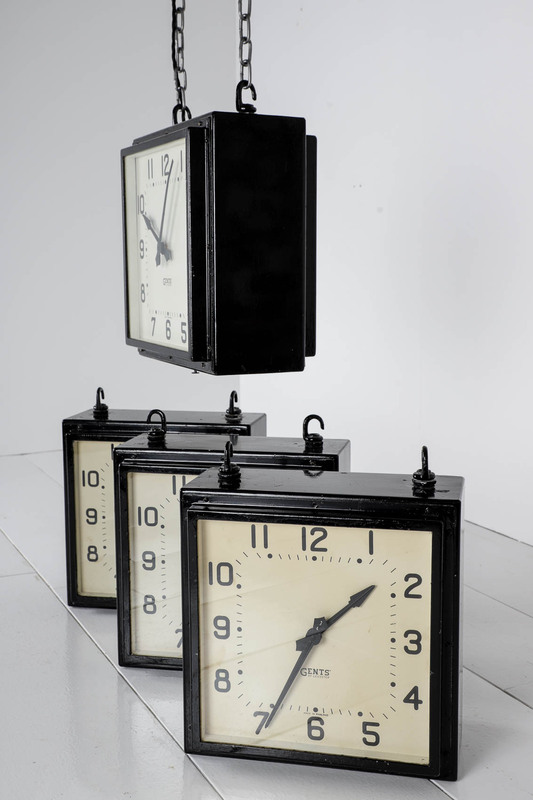 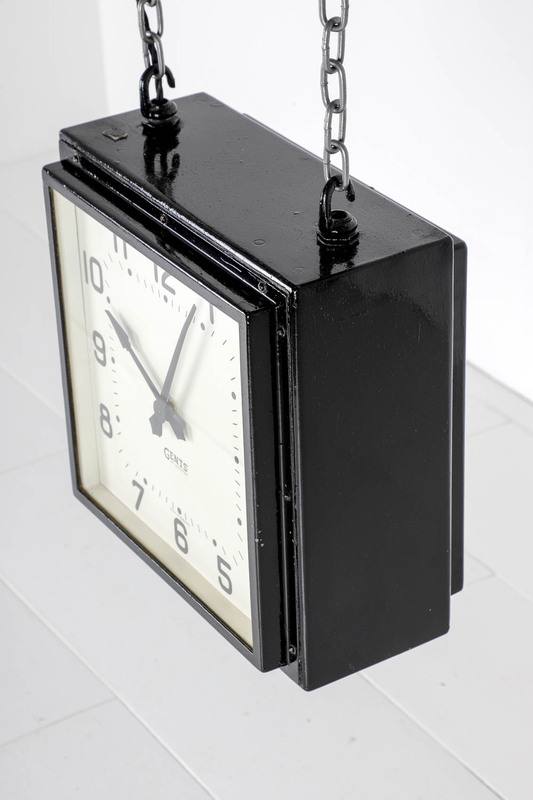 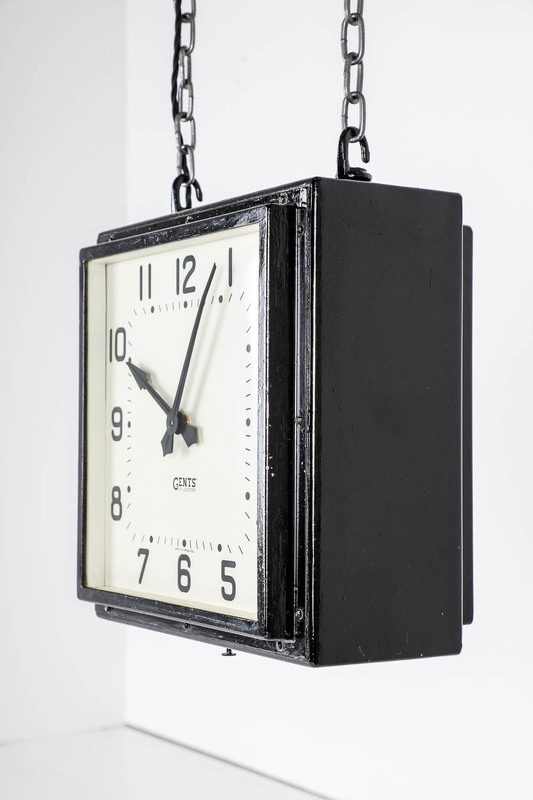 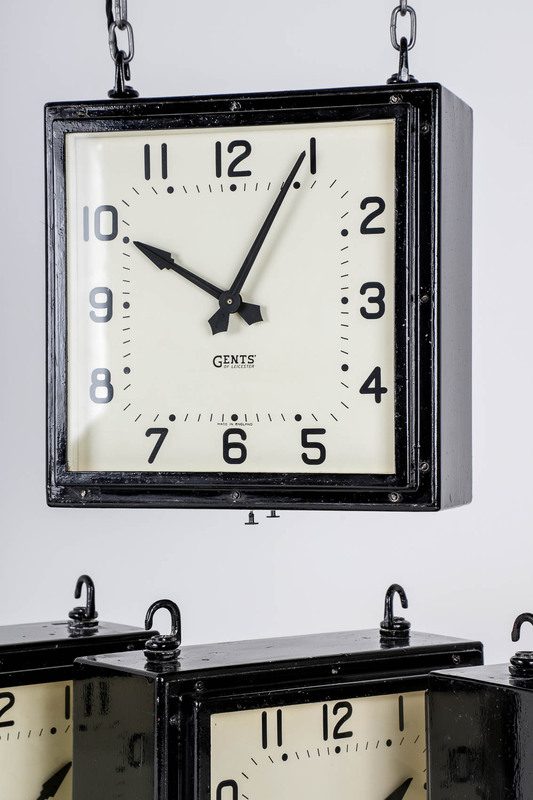 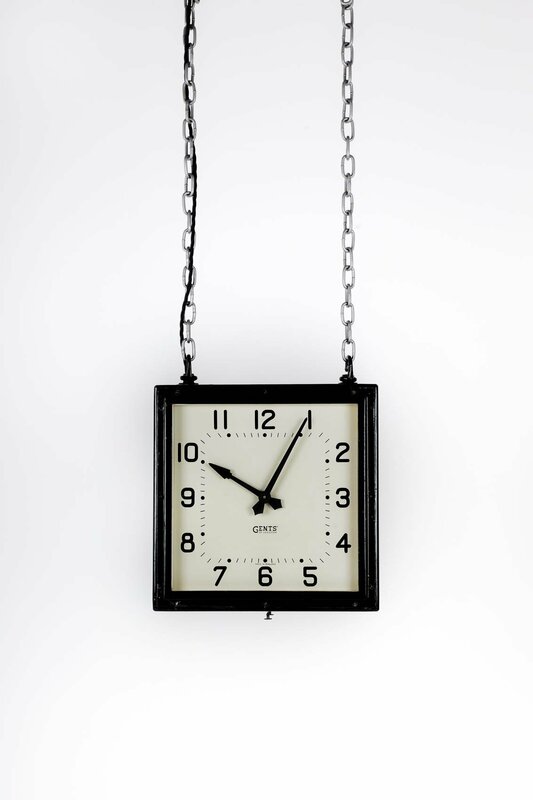 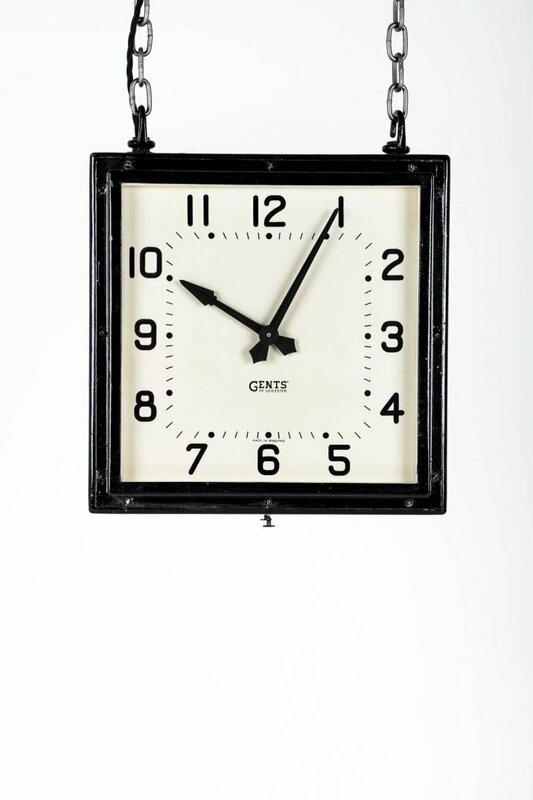 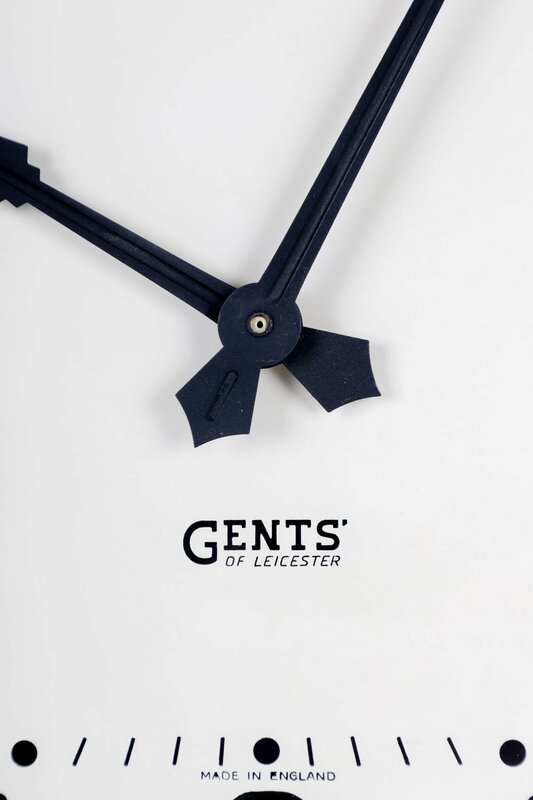 A collection of four double sided Gents of Leicester school clocks. 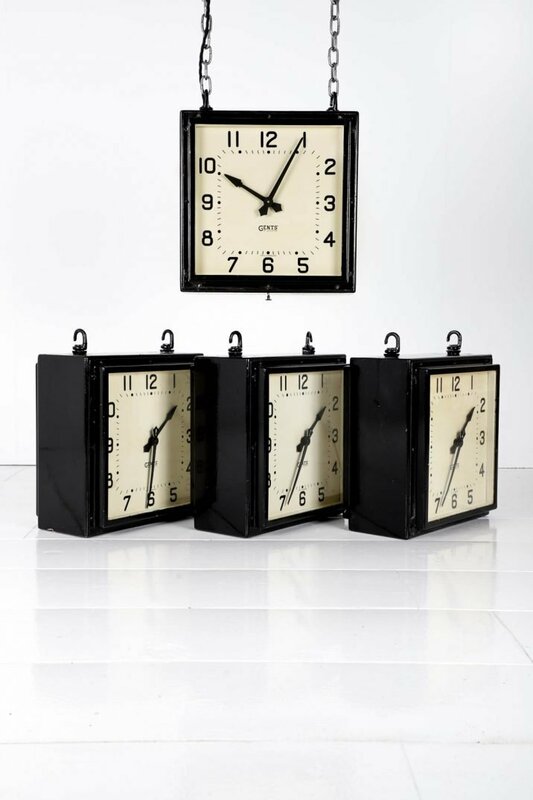 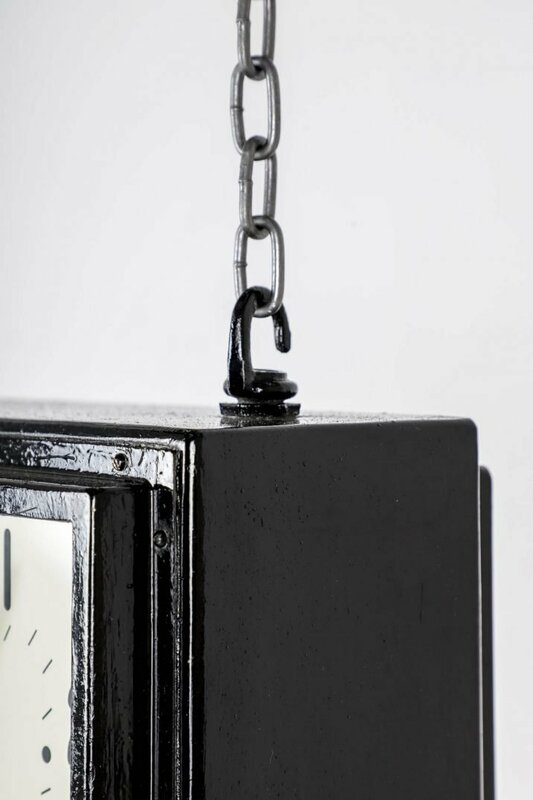 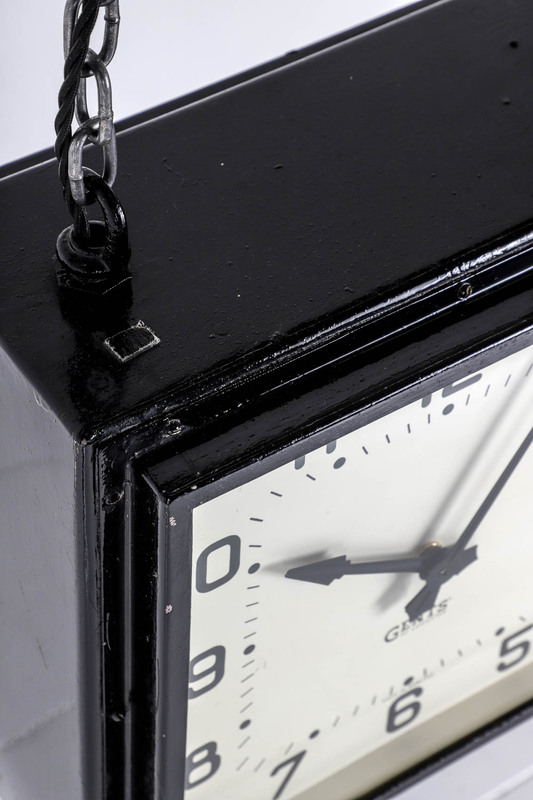 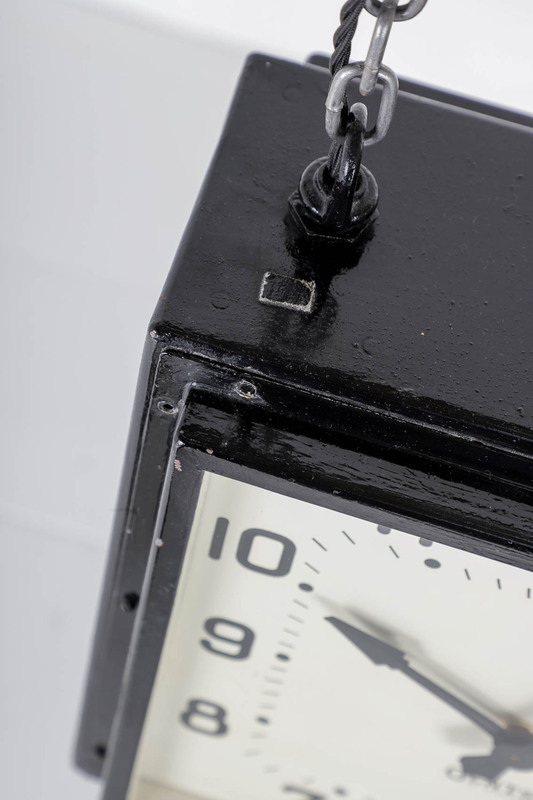 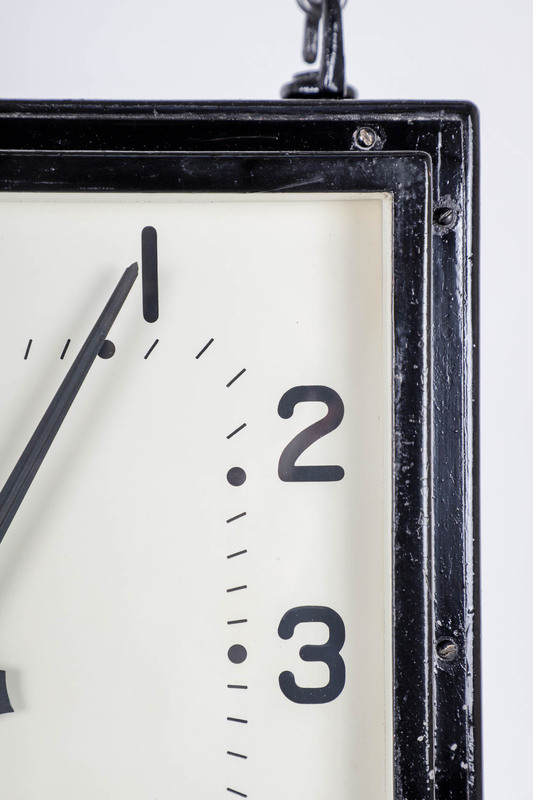 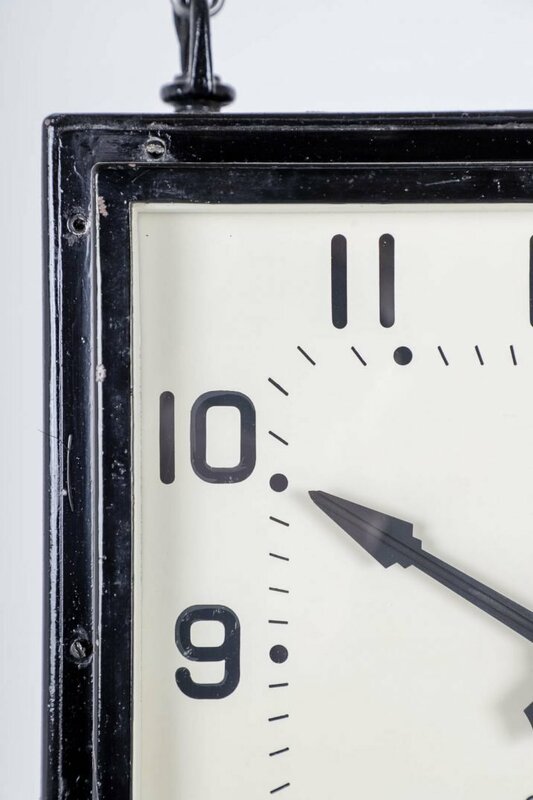 An unbelievably rare find of four of the coolest clocks that we’ve ever owned. 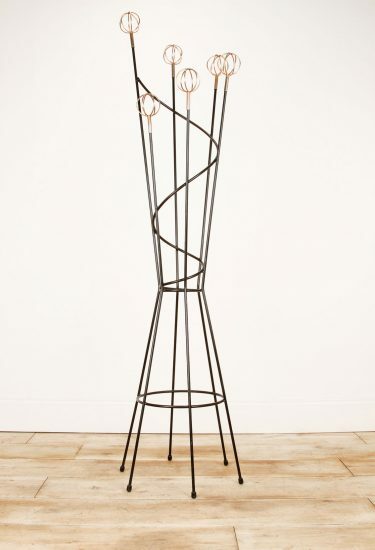 Salvaged from a school on the Isle Of Bute. 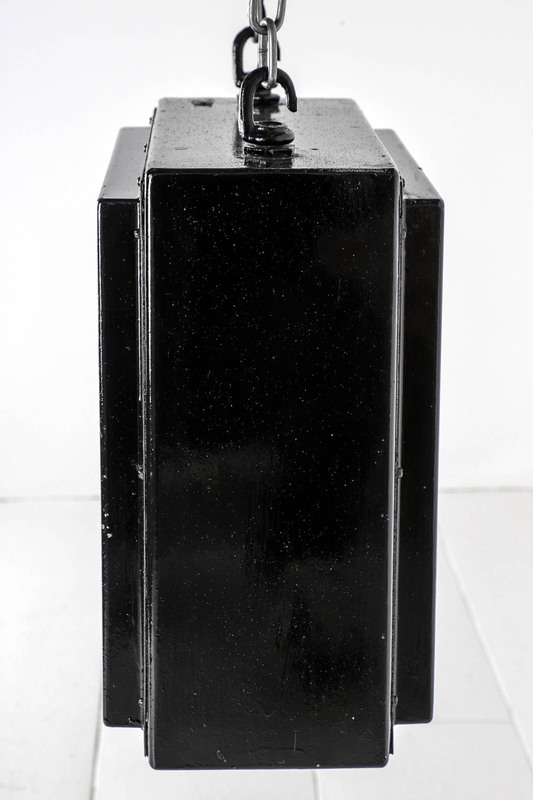 Now running off a 240v movement.